The City of Adelaide showed incredible foresight and leadership last year when it tendered for a social enterprise incubator in Adelaide – a free program to help startups to develop and implement new business models, writes business strategist Suhit Anantula. You may be thinking: city council, Adelaide, social enterprise? How did these three things come together? Adelaide is going through a significant change right now. There is an increasing sense of despair when you read through the papers on job losses and at the same time people living here are seeing a more vibrant city. The cultural and sports scene is fantastic as ever. The startup scene is even better. The co-working spaces I frequent have increasing number of freelances, consultants, entrepreneurs and lone rangers creating value. The aspirations are high and there will be a better future for South Australia. For example, there’s the social capital initiative. What if you could take one of the most iconic spaces in Adelaide and imagine a future where “creating social and business value” is commonplace. A large campus of startups, SMEs, corporates, universities and government. All located in one place. All collaborate. They grow, scale or die. But they innovate. The government, to its credit, is focused on the same space. The universities are focusing on this too. The large Not for Profit sector is also changing. The business world is moving in the same direction. And then there’s the 90 Days incubator program. In this context, it is no wonder that a rigorous, 90 day program for startups with a focus on impact – social or environmental – has launched in Adelaide. We have seen an incredible bunch of ideas, talent and aspiration in the various nooks and crannies in Adelaide. We want anyone and everyone who wants to make a difference to participate in this. Australia has seen its share of social startups (Thankyou, Streat, GoodThanx), its share of organisations trying to create the ecosystem of social startups (SSE, Social Traders, SVA) and financing this space (Impact Investing Australia, Forrestors, SIEFA). You have philanthropic leaders (Allan English, Paul Madden) who are continuously pushing the boundaries of what it means to create value in this space. The B Corp movement is booming. The idea of an impact organisation, an ethical corporation is increasing. Can you make money and do good? Of course! This is the optimistic starting point of the B Corp movement. The Social Ventures Incubator Program (SVIP), one of the first of its kind in Australia, is built on these foundations. It is designed around Business Models Inc’s systematic, evidence-based methodology to help startups and their teams to successfully develop and implement new business models in order to ensure a solid performance and success in their markets. For many years Business Models Inc. has helped corporate organisations explore new business models and strategies. We’ve done this using tools and processes, like the business model canvas, strategy maps, co-creation, visualisation, self service. This is what companies, like Toyota, KPN, Heineken, Dorel, Herman Miller and Fujitsu love. The idea for the 90 Days program was born a few years ago. Business Models Inc. is working together with incubators, accelerators and venture capitalists all over the world, whereupon we’ve found a winning combination – government or investors deliver the infrastructure and Business Models Inc. will deliver the tools, content, case studies and energy. Amy Pokoney, Theo Campbell and Paul Daly from the City of Adelaide are driving this with their colleagues. And its free! It’s fully funded by the City of Adelaide. It’s not free in terms of effort and time. It’s hard work. But you know that already! 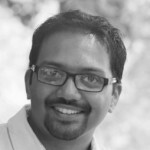 About the author: Suhit Anantula is a Strategy Designer at Business Models Inc. He is focussed on innovation for social change. He combines design, business, social sciences, entrepreneurship with a focus on social innovation and social entrepreneurship. He works with organisations to create value for customers, employees, stakeholders and the society. He calls it “Humanomics”.